How can networking with Four Chambers of Commerce help you to grow your business? In a FLASH is how. 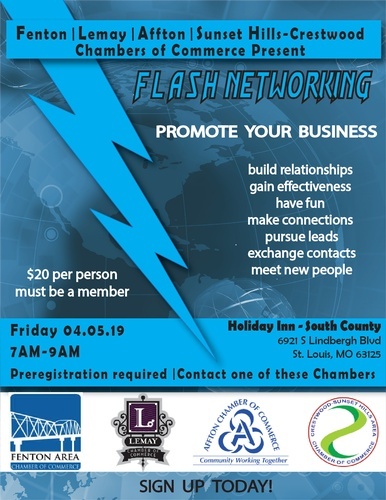 Join Fenton, Lemay, Affton, and Crestwood - Sunset Hills Chambers of Commerce for this annual event designed to build your networks while helping you to spread your message further. Reservations are required in advanced to attend this event.